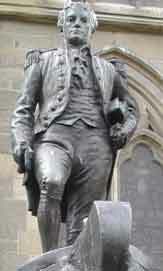 What kind of man was Captain Matthew Flinders? 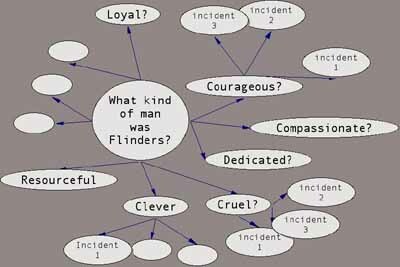 When we ask students to explore such questions, they learn to map out their inquiry using a program like Inspiration™. 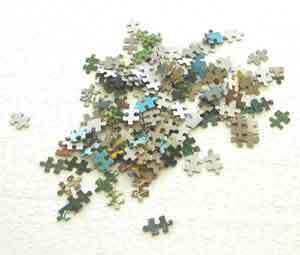 The map will start to look a bit like a jigsaw puzzle with its pieces strewn across the table. No clear picture can emerge until dozens of clues and incidents have been collected and organized. As the students read through his letters, they begin to find evidence to support judgments about his character. Today you will begin by listing ten suppositions about his character and then you will test these against his letters to his wife, Ann Flinders. When students read about the personal lives of people from years ago, they are sometimes transformed from stick figures into something much more intriguing.